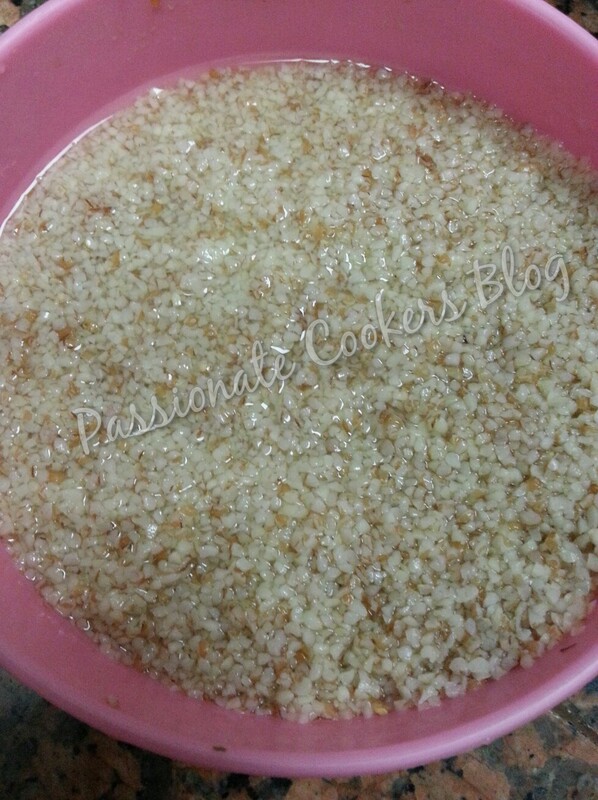 Soak broken wheat with water for minimum of 1 hour. 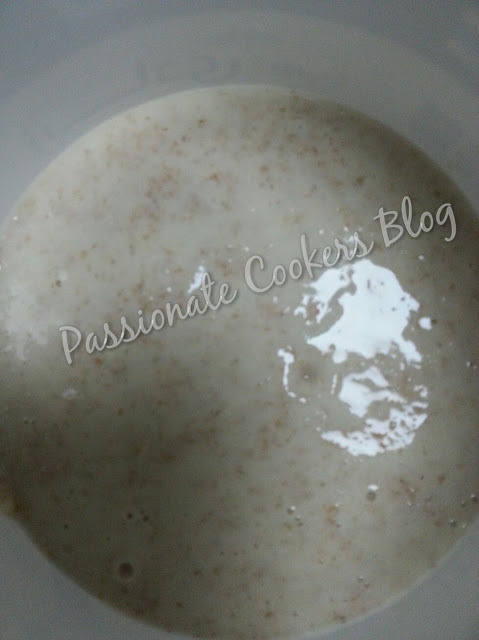 Grind half of the wheat in the blender with water till slightly smooth. 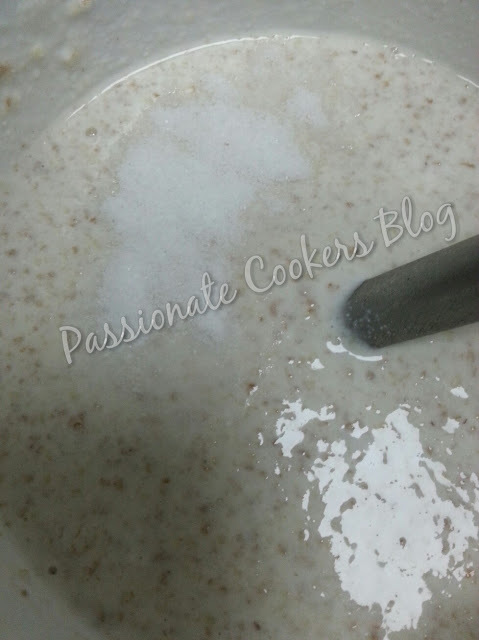 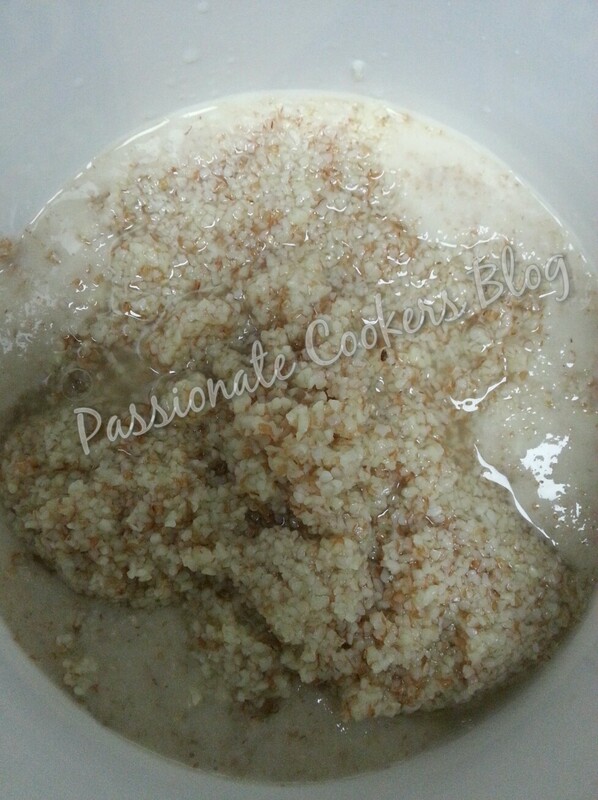 Strain the other half of the soaked wheat and mix with the idly flour and ground wheat mixture. Mix everything nicely with water, soda bicard and salt till u reach a thick pouring consistancy. Mix and let it sit for 2 hours in the room temperature so it gets fermented nicely. 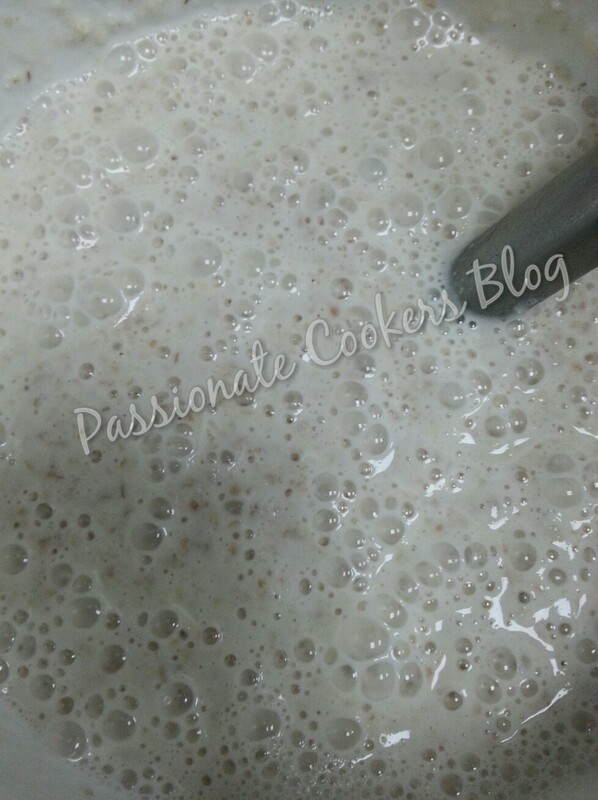 Once ur batter is fermented ur batter shud look like the above pic. 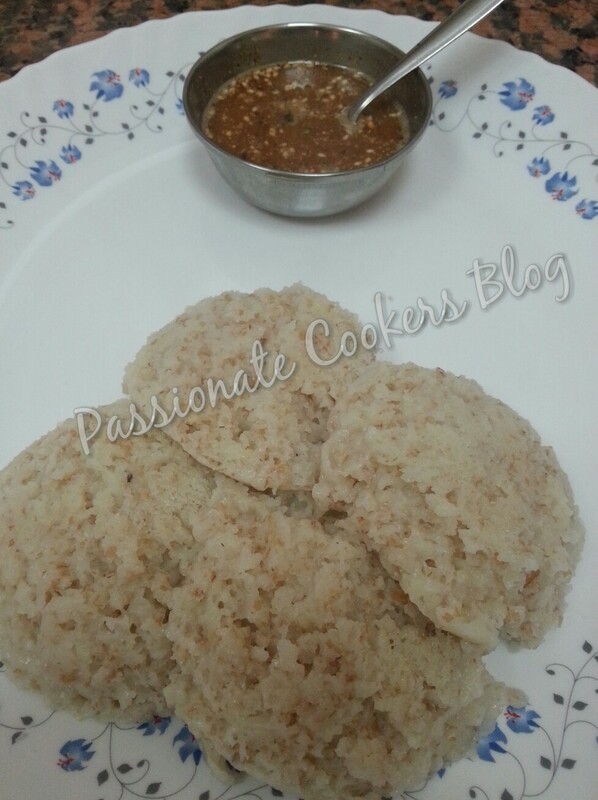 Serve hot with sesame podi or onion chutney.